The culture and history of South Sardinia is present everywhere! You can decide to visit the archeological site of Nora or the Cathedral of Cagliari, admire the beautiful costumes worn at festivities or learn about the antique rites of the island! While in South Sardinia, we strongly recommend a visit to the well-kept town of Pula. Here you will find everything you need for your daily needs, including a selection of good restaurants, lively cafes and many shops which are open all year round. Take a seat at one of the little cafes around the “Piazza” (main square) and enjoy a perfect cappuccino with Italian pastries or a refreshing Sardinian sparkling wine to tickle the appetite. The lively square is quite sunny and particularly enjoyable in the cooler months. During the summer, there is plenty of entertainment here for locals and visitors alike! 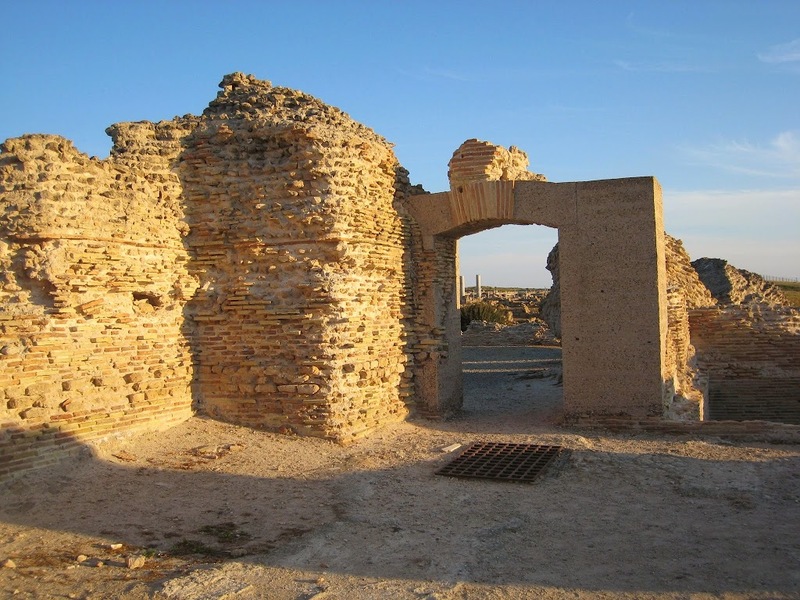 If you are passionate about history then you probably shouldn’t miss a visit to the archaeological site of Nora, where Phoenicians, Carthaginians and Romans left imposing traces. Dominated by the Spanish Tower, Nora is located on the beautiful sea front, just outside the town of Pula (follow the signs). The atmosphere is fabulous in the late afternoon. 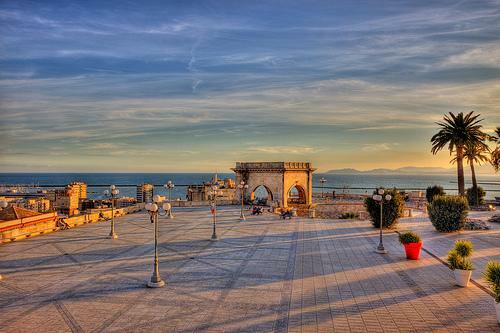 Discovering Cagliari on your own, might be a bit daunting. But if you are interested in learning about the insights of the small narrow streets of the capital, where each house has its own story to tell … that sounds really fascinating! Sardinia has so many local products to offer – you have to see them all! Markets are excellent places to absorb a little of the local culture and its traditions. 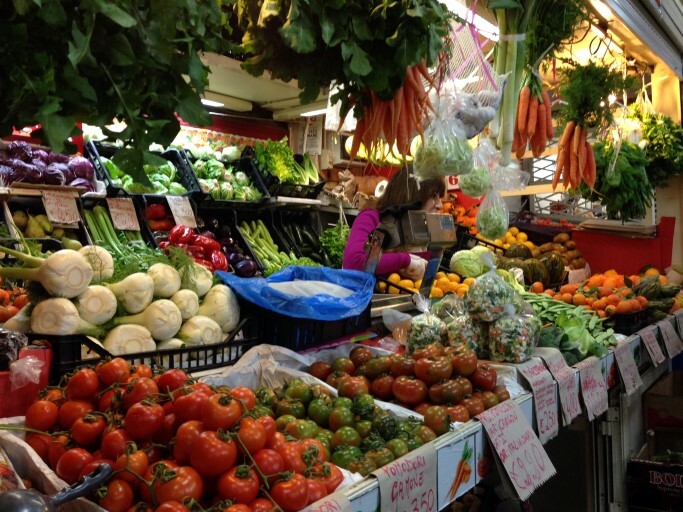 We would like to invite you to visit the central market of Cagliari, one of the biggest fresh produce markets in Europe: the Mercato San Benedetto. The market spreads over two floors and even onto the nearby streets, and really has to be experienced to be truly appreciated. The vendors are extremely friendly and welcoming while offering a once in a lifetime experience. The ground floor is almost entirely dedicated to fish. In the buzzing atmosphere you will be amazed by the sheer abundance and wide selection of fish and seafood available here. Feeling hungry in the middle of all this? Take a paper cone with freshly fried seafood – a cheap and very tasty snack! On the first floor there is a wide variety of fruit, vegetables, meat and other local products. Enjoy the smells and the colours of real fresh food! Be curious and perhaps taste something you never tried before – just enjoy the real Sardinia. 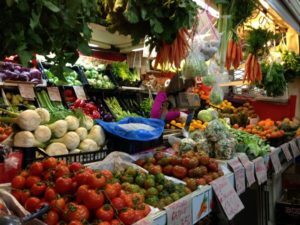 The market San Benedetto is located in Via Cocco Ortu in Cagliari and is open every morning from Monday to Saturday from 7:00 am to 2:00 pm. To avoid the crowds, it’s better to plan your visit between Tuesday and Friday. Parking available in Via Santa Alenixedda or Via Manzoni. 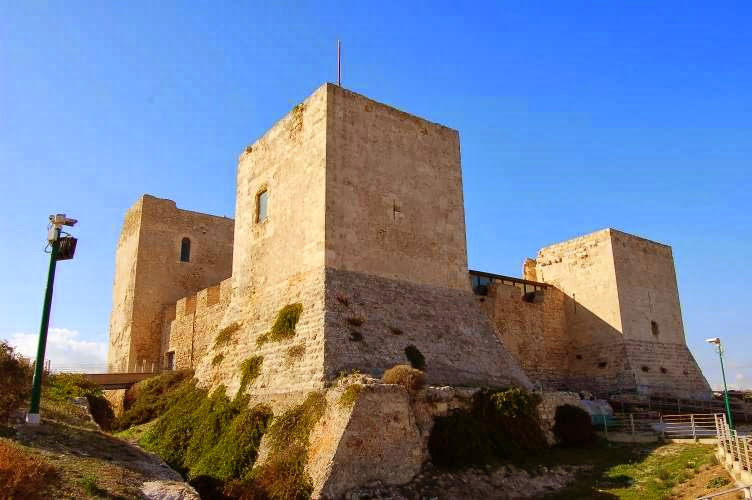 San Michele Castle is located on one of the highest hills of Cagliari, from where the best 360 degrees view of the city and the coast can be enjoyed. The main structure is from the Byzantine Period or first “Giudicale” Period (tenth century AD) which purpose was to defend Santa Igia, the capital of the “Giudicato” of Cagliari. The wine-making tradition in Sardinia has an ancient past: it is thought to date back even to the Nuraghic period. 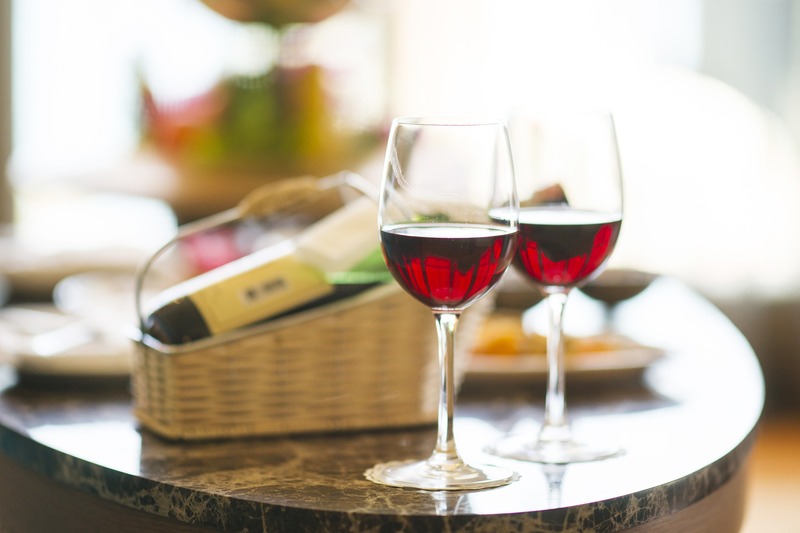 Then, over the years, it has developed quite substantially, to the point that now the wine industry represents one of the most important sectors of Sardinia. The island of San Pietro is connected to Sardinia by a bridge, hence no need to take a boat or study time schedules. Once on the island, I recommend making a stop in the charming village of Calasetta, which has preserves its typical and unchanged traits of its Genoan and Tarbarchin (Tunesia) origins. Have a stroll in the picturesque narrow streets and admire the sea from one of the cafés on the harbour front. 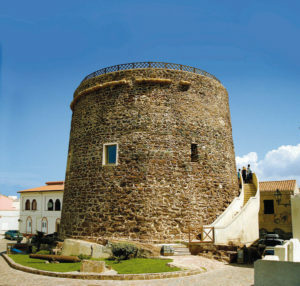 Calasetta is very famous for its distinctive tower, which was built around 1737. The tower was erected by the Savoy authorities to defend the channel between Sant’Antioco and the Island of San Pietro from the Saracen vessels. The Calasetta area has numerous beaches of amazing beauty. The coast is steep and rocky to the West and low and sandy to the North-East. If you choose to spend the afternoon around Calasetta, you have the choice of several marvellous beaches such as “Spiaggiagrande”, “Porto Maggiore”, the “Salina” and “Sottotorre”. The rocky rampart to the West is of unrivalled beauty stretching to a depth of up to 10 m and contributing to the creation of striking caves and stack formations of rocks. Have a look at one of the most beautiful places carved by the sea: the “Nido dei Passeri” (sparrows’ nest), a rocky formation which serves as a refuge to many local birds and perhaps admire the “Mangiabarche” lighthouse (Boat Eater), one of the most evocative beacon of South Sardinia. If you are staying in South Sardinia, you should not miss a visit to Barumini, just a 1.5 hour drive from Chia. 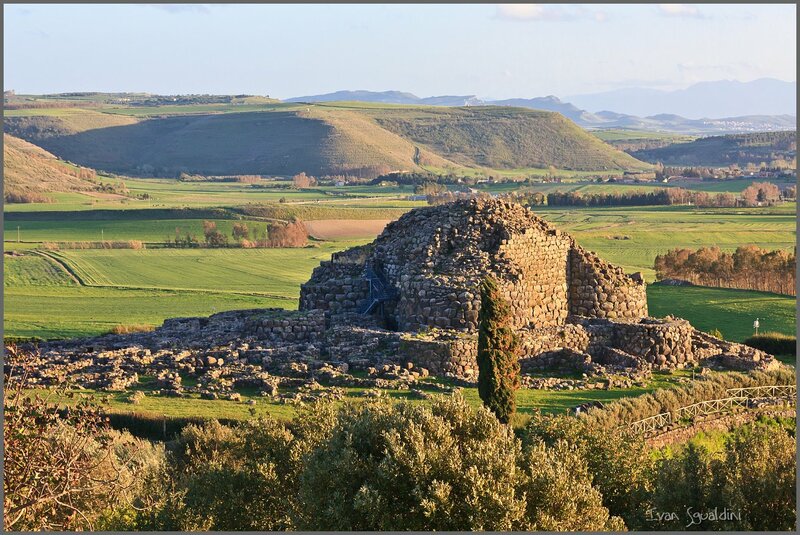 Barumini features one of the most important archaeological sites of the island (UNESCO heritage) where you can see the remains of the largest nuragic settlement dating from about 1600 BC! The entrance fee includes the visit to the museum and the cultural centre.